The potato plant grows underground and supplies nutritious tubers; the well-known potatoes. 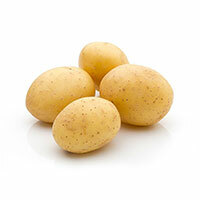 Sormac supplies machines for processing potatoes. Examples are peeling machines, cutting machines, cleaning machines or sorting machines. 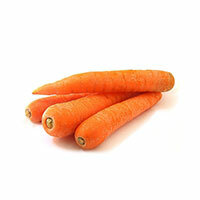 Carrots – long and slender with green leaves – are the underground portion of the carrot plant, used by the plant to absorb water and nutrients from the soil. For processing carrots, Sormac has cutting machines, peelers and sorting machines, among others. The onion is a bulbous plant belonging to the alliums, just like the shallot and leek. 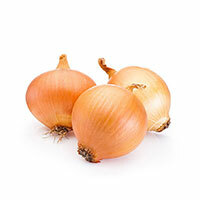 With their strong taste and smell onions enhance the flavour of many dishes. For processing onions, Sormac has machines topping the onions, and subsequently cutting them in and peeling them. 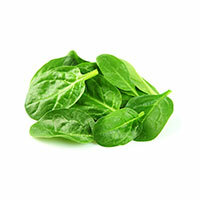 Leafy vegetables – for example spinach, cabbage or endive – are grown for the leaves of the crop. Sormac specialises in processing leafy vegetables and supplies, among other things, pre-processing tables, cutting machines, washers, drying tunnels and centrifuges. 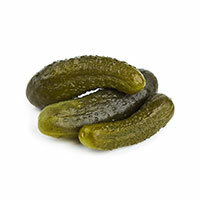 The gherkin belongs to the same family as the cucumber, but gherkins are smaller and have a thinner skin. Sormac supplies complete gherkin sorting lines with sorting machines, pre-cleaners, defoliating units or pre-sorting machines. Sormac is the leading specialist in this field. 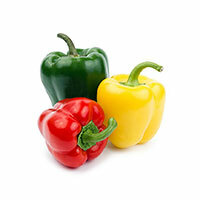 Bell peppers come in all sorts of colours and shapes and the taste may vary considerably from one variety to another. Sormac has developed machines – which may also be integrated in a bell pepper processing line – to de-core, clean, top and divide bell peppers. Bean sprouts are the germ of the mung bean, also called green gram. The vegetable is rich in vitamin B, vitamin C and iron. Sormac has bean sprout drying machines and equipment for dewatering bean sprouts. Fresh bean sprouts are crispy and have a spicy, nutty taste. 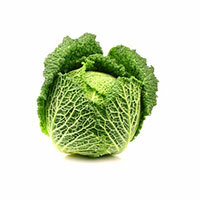 Cabbage, a plant belonging to the crucifers, comes in various variants. The best known varieties are cauliflower, kale, broccoli, Chinese cabbage, pak choi, red cabbage, savoy cabbage, pointed cabbage and white cabbage. Sormac supplies several cabbage processing machines such as cabbage cutters, cabbage washers and cabbage dryers. Cassava is an edible tuber, which is full of flavour and more nutritious than the potato. Cassava has a thick, brown skin, for which Sormac has developed an easy and quick cassava peeling machine in its range. 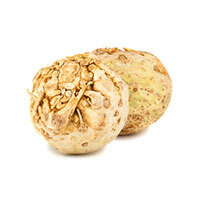 Celeriac is a variant of celery and has a mild, spicy taste. Sormac supplies various machines for, for example, peeling, scraping and cutting celeriac. The courgette, related to the cucumber, is the unripe fruit of the Cucurbita pepo plant. Courgettes may be either yellow or green. 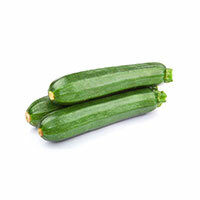 Courgettes contain lots of vitamins and minerals. Sormac's range includes various machines for dividing courgettes, for example courgette cutting machines. 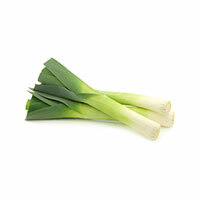 Leek is related to the onion, is grown outdoors in the field and is available year-round. There is winter leek, summer leek, and autumn leek. The whole leek, so both the green and the white portion, is edible. Sormac supplies equipment for processing leek, for example leek cutting machines. Parsnip is a plant belonging to the umbellifers, and is also called the white carrot. Sormac has developed a parsnip peeling machine. Parsnip has a sweet and anise-like taste and is considered a typical winter vegetable. 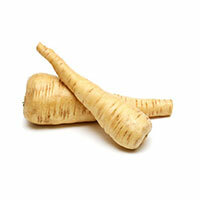 Therefore parsnip is mainly used in stews and oven dishes. 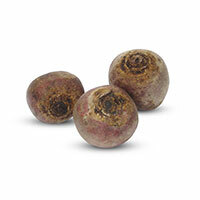 The beetroot is a root crop, just like for example the sugar beet. The edible portion grows underground and is therefore the root of the plant. Sormac supplies various machines for processing red beet, for example carborundum and knife peelers. Salad cucumbers grow in greenhouses and are therefore available year-round. Sormac's range includes salad cucumber cutting machines and machines for peeling salad cucumbers. 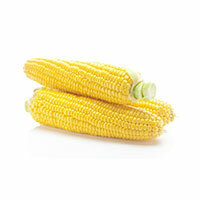 Sweet corn is actually a cereal, but is also often eaten as a vegetable. Sweet corn grains grow and ripen in cobs covered by leaves. Sweet corn is eaten most often, but there are also varieties with dark red, blue, purple or black grains. Sormac has developed a machine for cutting sweet corn, the automatic sweet corn cutting machine. The turnip, also called white turnip, grows underground and is the tuber of a plant. To process turnips quickly and efficiently, Sormac has developed scraping machines and peeling machines. Turnips may be eaten raw, cooked and stir-fried, but many people particularly know the pickled variant.